Nearly all new cars have wheel arches finished with vertical surface which is cut from the rest by a sharp edge. I wonder if it's just some concept of styling or is it somehow related to aerodynamics and fuel economy? I hope You will understand sth from the pics. If not, I'll try to draw a scheme and drop it here. one thing to note is that car have an increasing wide track, this might be to improve handling,and since i have the impression most cars are a bit taller as well their center of gravity might be a bit higher as wel than the average car lets say 10 years ago. styling wise these bold arches probably give the car a bit more muscular apperance... wich is a nice trick to give a small car or a potentially "boring" family car like the cangoo a bit more muscular appearance. on the other hand i noticed you'r example of an "old" car is one of my favorites... and probably the one with the lowest drag of them all with and 0.28 Cd... so i'm not sure if these new arches are that much better than the old ones. something else i've noticed is that on older cars there much more space between the wheen arch and the tire... probably because they had a little more suspention travle. Tightening the tire/wheel arch gap improves aerodynamics as well. MaxMatt: the first two links you provided didn't work for me, so I don't really know what the examples were meant to show. As for wheel arch design for best aero - a minimal tire gap, is best, plus adding a radius to the aft edge to permit air exiting the arch to make a clean transition to the vehicle side. Toyota mentioned tweaking the wheel arch liner on the new gen 3 Prius, but I'm not sure if it's to address the same thing. And that's on a pick-up! After looking at my own picture I think there is sth to do with wide tires better fitting in the new design, but it also reduces the space between the wheel and the fender. Last edited by MaxMatt; 01-27-2009 at 04:05 PM.. 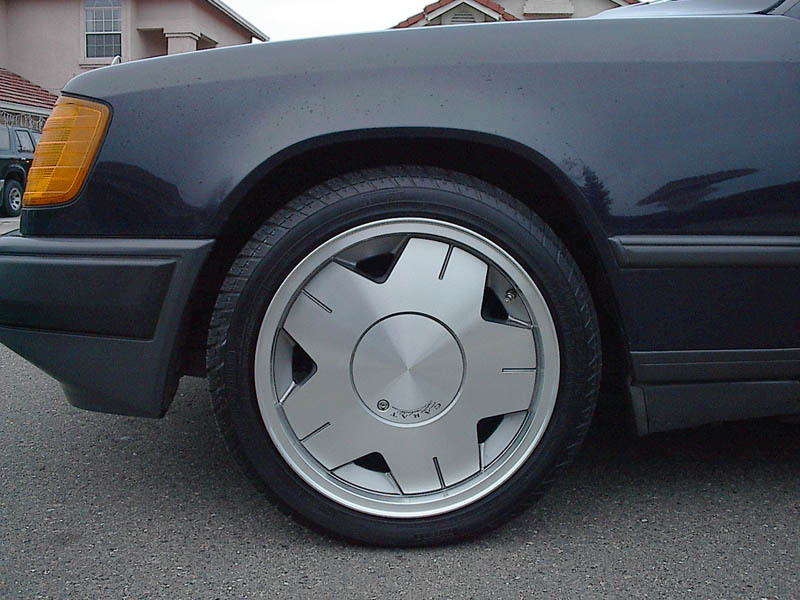 I'd vote for that being a styling item, but it lets you continue the curve into a wheel skirt with a simple transition. I can see a benefit for wider tires, but I can't really see an aero benefit... in fact, I see an aero penalty in the form of increased A. You can notice that the metal folds inwards. I thought that by unrolling it to reach vertical surface on the side would decrease the wheel-fender space. By the way - here is a bodykit mounted on a coupe which helps aerodynamics, but I don't know if it's just about downforce or also reducing drag. Especially the front bumper looks similar to what we can see in Calibra. lowering a car might help in two ways by lowering the car you expose less of the tire so you effectively decrease frontal area, although only just a little... you also cover more of the tire... you may have noticed a lot of cars have airdams that are lower in front of the tire than in the middle, the calibra is on of the earliest cars where this design was mentioned but a lot of modern cars more or less have this design some even have small plastic dams in front of the wheels. it's not entirely clear to my what the effect of shielding the front of the tire actually is, but if factory cars have this, i'm sure it does something. recently a lot of carmakers have introduced "eco" versions of their vehicles... i think VW more or less started the trent with their bluemotion lineup. one of the things mentioned with most of these cars is that they sit a little lower than the standard model. The vertical section of the new fender style allows the fender to be narrower, for a given amount of tire vertical travel. I think it also stiffens the stamping, resulting in less noise. So, they may have noticed the aero effects - reduction in car cross section area, but probably did it to make the car fit narrower areas, and avoid fender drag scrapings, besides stiffening the fender.